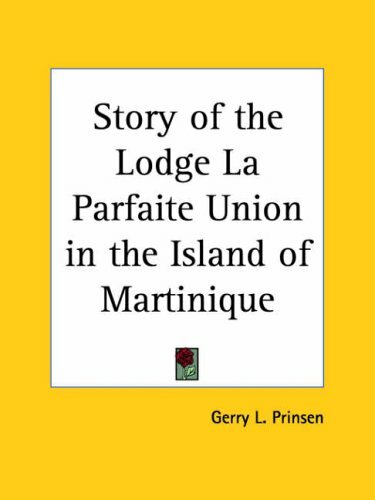 Diaries of nineteenth-century plantation managers are rare; diaries of French sugar planters are rarer still. 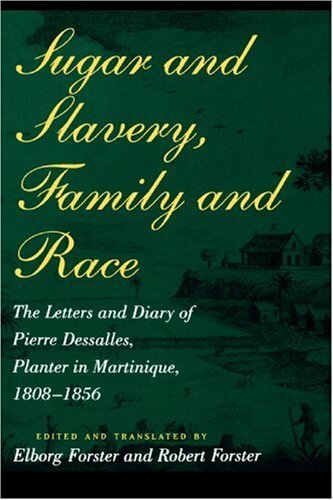 Although such works as the diaries of Ella Gertrude Thomas and James Henry Hammond provide insight into the plantation societies of the antebellum South, virtually no contemporary source treats planter-slave relations as extensively, or presents a white planter's views on slave society in as much detail, as do the letters and diary of Pierre Dessalles. Now Elborg Forster and Robert Forster have translated and edited the most historically and socially significant portions of this unusual work. 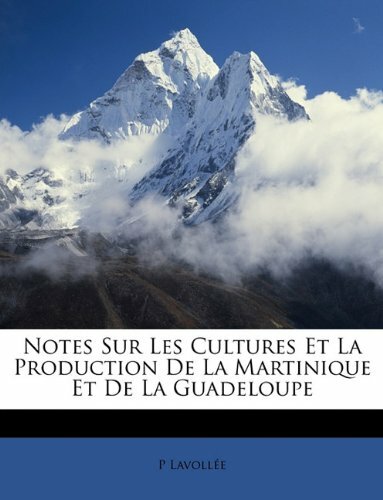 Previously available only in a four-volume French edition, these materials treat a wide range of topics, including the slave economy, management and socialization of the labor force, the role of free blacks in society, the lives led by the plantation owners, and, significantly, black-white relations before, during, and after emancipation. 14. Recherches En Esthetique. Revue du C.E.R.E.A.P. Martinique. No. 5 Octobre 1999. Issue theme: Hybridation, metissage, melange des arts. 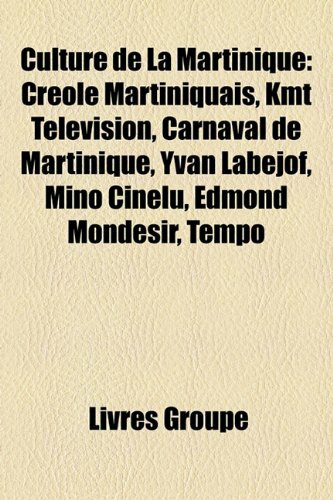 The fast-paced zouk of Kassav', the romantic biguine of Malavoi, the jazz of Fal Frett, the ballads of Mona, and reggae of Kali and Pôglo are all part of the burgeoning popular music scene in the French Caribbean. 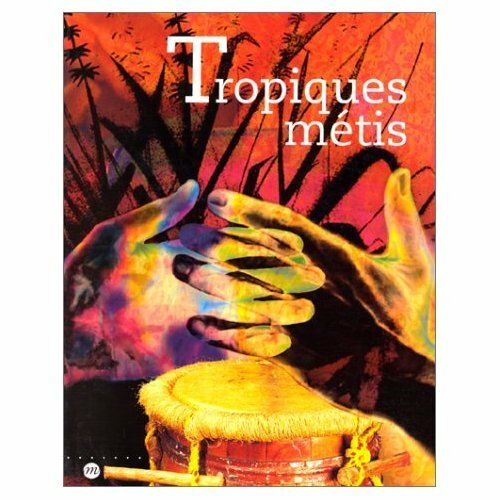 In this lively book, Brenda F. Berrian chronicles the rise of this music, which has captivated the minds and bodies of the Francophone world and elsewhere. 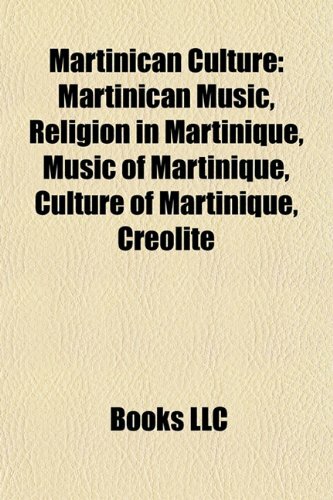 Explore the culture of the French Caribbean while experiencing its popular music is the invitation from Brenda F. Berrian in her seminal text, Awakening Spaces: French Caribbean Popular Songs, Music and Culture.Berrian gives the reader a comprehensive critique of the composers, singers, and production of music on the islands of Martinique and Guadeloupe.Berrian combines insightful scholarship with her joyous celebration of the artistry of the music makers.For lovers of this music, Awakening Spaces features all of the major players: the bands of Malavoi, Kassav', Taxikréol, Kwak, and Volt Face; the singers Joselyne Béroard, Patrick Saint Éloi, and Pôglo; the instrumentalists Jean-Paul Soime, Mario Canonge, and Mano Césaire; and versatile artists like Henri Guédon who excels as a composer, percussionist, and painter. 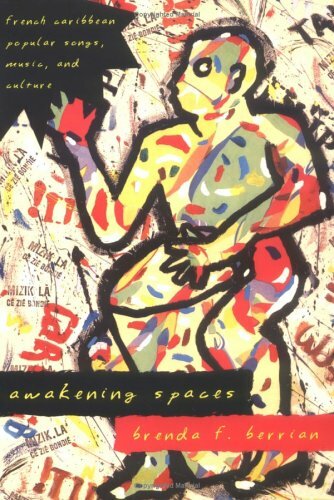 Berrian's book is a treasure trove of personal interviews with musicians and original transcriptions of song lyrics in French Creole and English.Awakening Spaces effectively bridges the past and present in Francophone Caribbean music for all lovers of music-be they exuberant fans of zouk or musicologists. A well researched piece of art, enjoyable start to finish! 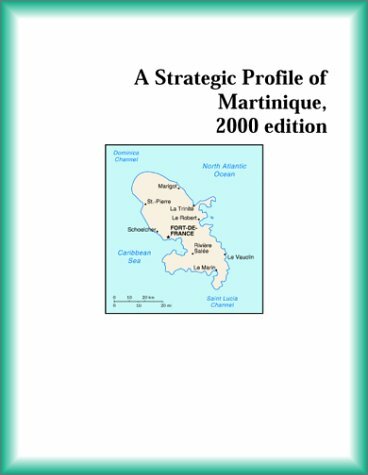 In 1946, after more than three hundred years as French colonies, Martinique, Guadeloupe, and French Guiana were transformed into "overseas departments" of France, equal and identical in theory to any French department. This book assesses the effects of almost half a century of political assimilation into France and asks to what extent the high standard of living enjoyed by French West Indians today has been offset by losses on the political, cultural, and psychological levels. 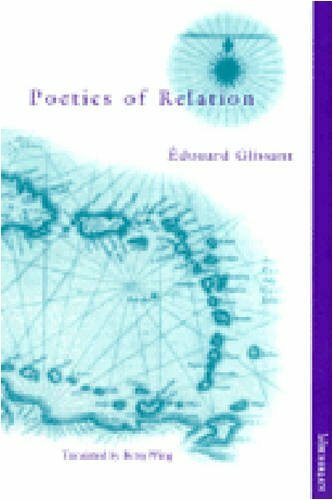 The book, whose contributors come from the French West Indies themselves and from Britain and Jamaica, brings a variety of perspectives to bear on what to many observers will seem a paradox in the postcolonial age: three West Indian societies that are now part of Europe and whose desire to remain French far outweighs- or so it seems- their desire to be West Indian.